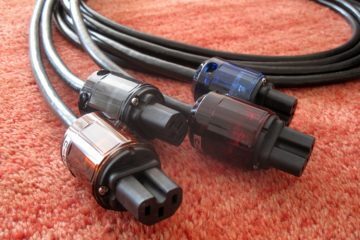 All cables were tested in the same length, in combination with the same connectors and each cable was manufactured in the same way, plugged in for same phase and burned in the same duration. 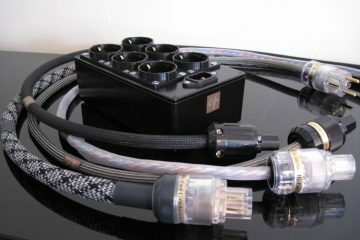 During testing only one cable at a time was connected, each time in the same position of the extensionblock. 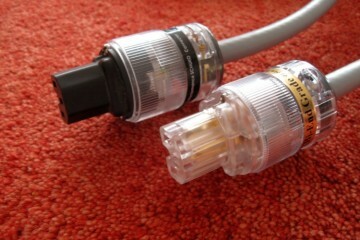 Belden powercable basically comes in only one flavour. 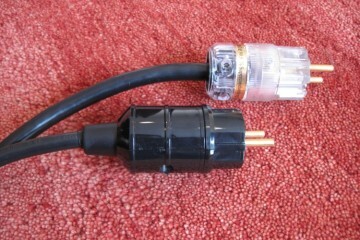 The only variables are the amount of conductors, the amount of copper used and whether or not there is foil shielding. 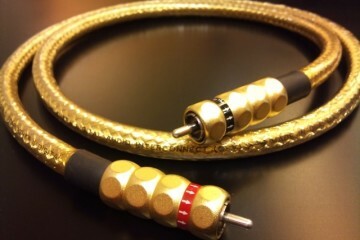 The cable that I always use is the well-known SJT series 3×2,1mm 19364. It would seem that Belden cable is more consistent in sound across their line than Lapp. But when the 4mm variant popped up, I was curious to find out how it compares to the regular 3×2,1mm Belden. 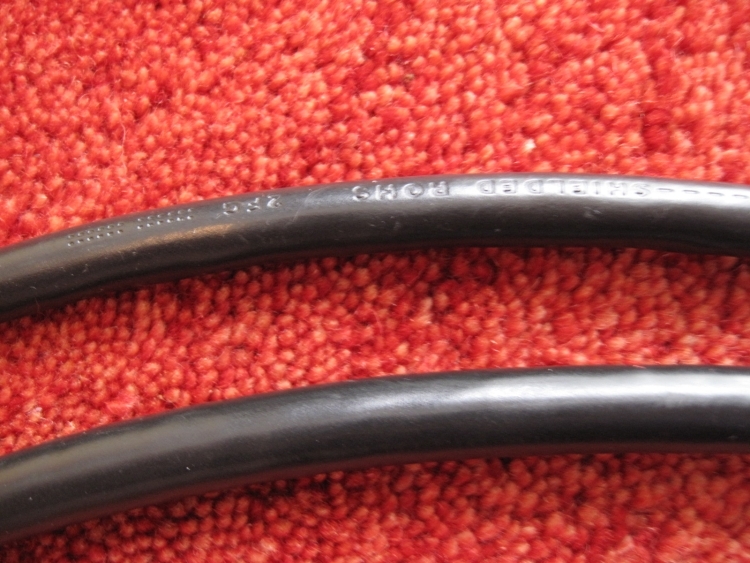 Both cables are shielded, have the same jacketmaterial and amount of conductors. 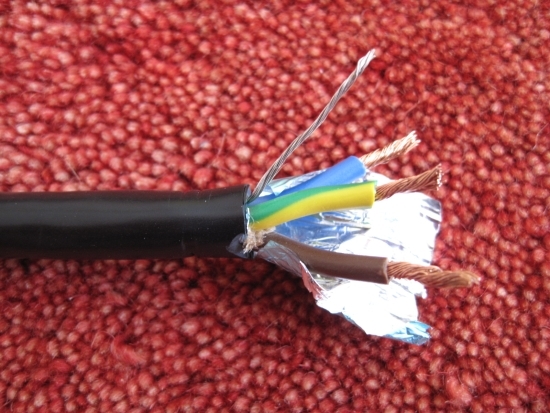 The only difference lies in the amount of copper used in those conductors. 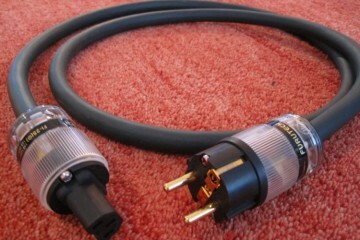 Officially this make the cable a better choice for use in audiogroups due to its higher amperage-rating. More copper equals better sound, right? While that is absolutely true for Lapp, I was not prepared for the disappointment presented with when I swapped the regular 2,1mm Belden for the 4mm Belden. The regular 2,1mm Belden can be a bit thin and lacking colour and I had hoped that the thicker 4mm Belden would add some Lapp-colour to the mix but that’s not what happened. 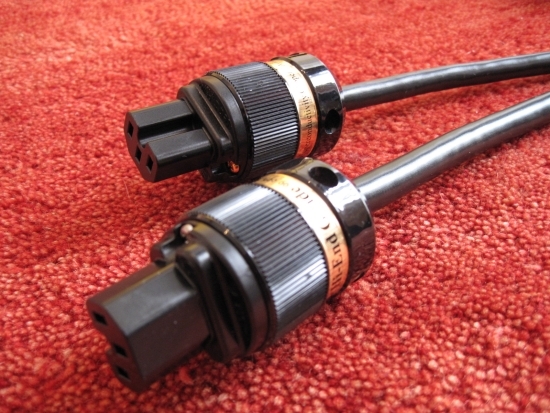 Indeed the 4mm cable had more bass and was less thin sounding than the 2,1mm cable. 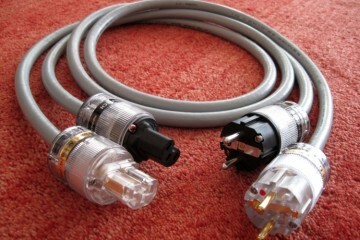 But it wasn’t the full meatiness of Lapp cable. The Belden still sounded harmonically more threadbare than my preferred Lapp type 1. But what’s more: the 4mm Belden was dynamically compressed and sounded altogether more rhytmically restrained. Also the treble was noticeably closed in which is a shame because the regular 2,1mm Belden has a very open and airy, abeit slightly harsh treble. 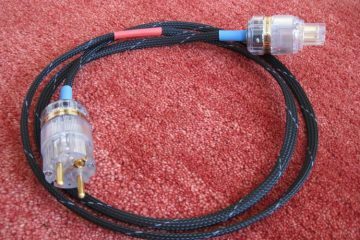 Even though the 4mm Belden was definitely less aggressive in the treble, the overall impression was of a dull and uninspiring cable. I would recommend it only as compensation for setups that are otherwise very aggresive and too bright in nature. To get that typical fast, open and dynamically detailed Belden sound, use the thinner 2,1mm variant, not the bigger 4mm version.